Former New Hampshire governor John H. Sununu's long-running feud with Donald Trump has come to an end. Sununu endorsed Trump for president Tuesday. On Tuesday, Sununu poured himself a glass and took a big sip. If was quite a shift for Sununu, who spent much of the past year belittling Trump’s business record, insulting his intelligence and dismissing his character. "Frankly, at this point we want anyone but Trump." And at a January rally in Windham, Trump told a crowd that Sununu “was fired like a dog, he was fired viciously. He is such a dumb guy, he doesn’t even know he was fired” – a reference to Sununu’s resignation as chief of staff for President George H.W. Bush in 1991. 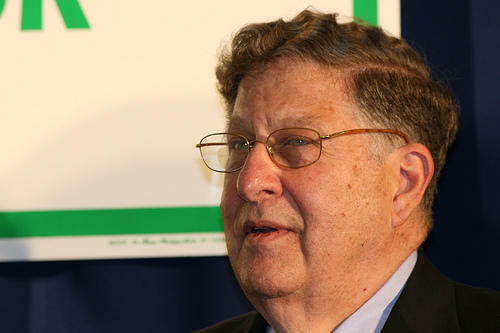 Sununu did not endorse a candidate in the state's presidential primary this year. His son, Chris, is the Republican nominee for New Hampshire governor this year.